JP title: "One Cheer for Obama's Foreign Policy." Instead of Israel making yet more unilateral concessions to the Palestinians, in late May Israeli prime minister Binyamin Netanyahu called to "bring Arab states into the circle of peace." U.S. special envoy George Mitchell and Israeli Defense Minister Ehud Barak picked up on this and developed plans to integrate those Arab states into the diplomatic process. In mid-July, U.S. Secretary of State Hillary Clinton asserted that "Arab states have a responsibility ... to take steps to improve relations with Israel, and to prepare their publics to embrace peace and accept Israel's place in the region." Almost two decades ago, in a Wall Street Journal article of June 1990, I called for including the Arab states. I noted a remarkable symmetry in which "Palestinians want from Israel what Israel wants from the Arab states—recognition and legitimacy. 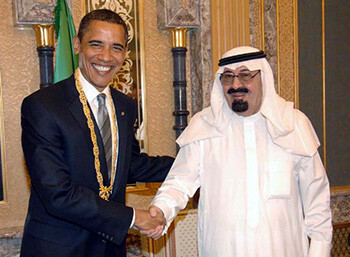 Thus, Palestinians seek concessions from Israel and Israel seeks concessions from the Arab states." 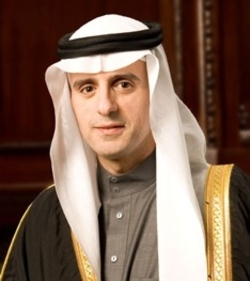 Saudi Foreign Minister Adel bin Ahmed Al-Jubeir.